A few years ago, self-driving cars were essentially science fiction. However, they’re a real thing now—and they’re already on the roads. If you live in Pennsylvania, you are likely familiar with Uber—a ride-sharing service that is helping to pave the way for driverless technology. Unless you're from Pittsburgh, however, you might not realize that the Golden Triangle is integral to the development of the company's autonomous vehicle technology. Uber is already testing its driverless cars on Pittsburgh roadways, and the Steel City is one of seven finalists for a $50 million grant through the U.S. Department of Transportation (DOT) to integrate "innovative technologies" such as self-driving cars into the transportation system. Most recently, Ford Motor Co. announced that it was investing $1 billion in a Pittsburgh company that specializes in artificial intelligence—all for the purpose of engineering and testing autonomous vehicles. If you've ever said to yourself, "Maybe—just maybe—a car will drive itself across the country one day in the future," know that the future is now. Believe it or not, an Audi SUV drove itself from New York to San Francisco in 2015, logging 3,400 miles along the way. The previous U.S. presidential administration authorized some $4 billion in federal funding for driverless car technology testing. The government’s hope is that, as these technologies improve, collisions and traffic fatalities will ultimately decline. In fact, the DOT, in conjunction with the National Highway Traffic Safety Administration (NHTSA), recently released a 116-page report that gives information and guidance to automobile manufacturers, state legislatures, and other stakeholders on how to handle the quickly emerging—and ever evolving—technology. It also asked for the public's input on matters related to driverless cars. An updated report is expected as early as later this year. Last year, internal testing at Volvo revealed that snowflakes can completely incapacitate driverless cars’ sensors. Given that snow falls with some regularity in a significant portion of the country—including right here in Pennsylvania—that’s a big problem. 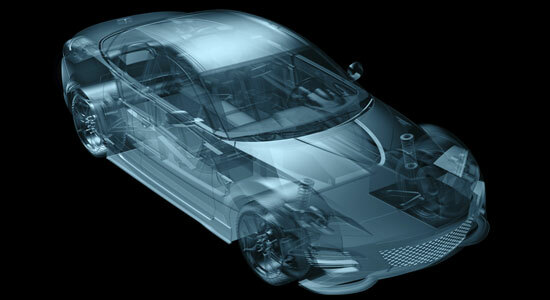 Still, automakers think they have a solution in sight as technology continues to evolve. Since their inception, driverless cars have caused a series of auto accidents, though they were rarely serious. Last year, however, there were several significant crashes — including one that caused a human fatality. New technology is never perfect—including driverless car technology. While autonomous vehicles continue to advance, many crucial safety questions remain. While you probably aren’t sharing the lane with an entire line of self-driving cars quite yet, don’t underestimate how close we could be to that new reality. As car accident injury attorneys, we want to see our entire community get safer on the roads, and we’re hopeful this new technology can ultimately help prevent car accidents—especially considering that nearly 94 percent of all fatal crashes are the result of human error.